“Rehab has been going very well and I cannot wait to be back and to throw a leg over the bike again. I want to be back at the GPs as quick as possible but we cannot say which race yet until I get some riding time." This is a press release written by KTM, not Vital. Also, it says Munderfing (which is a different city in Austria) AND KTM HQ, as in two locations. Google maps is a wonderful resource for geography. Race Team is in Munderfing, tard. Thanks for the story Klinger. 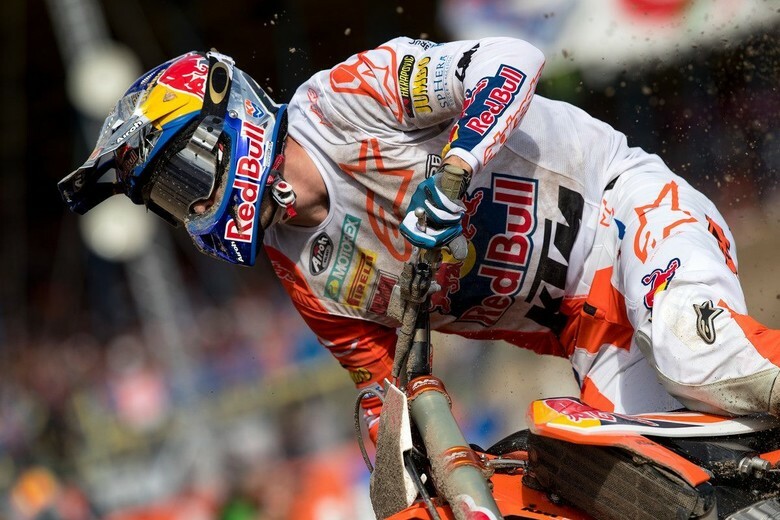 this menas no titles for Herlings this year. I feel the JH 2018 is like JS7 in 2008. A blessed year for a fast but crash prone rider, that created dominance that will not happen again. Hangtown is in May. Cmon Pit get with it. Once in a lifetime for JH ! I know what are they scared of? Losing the fastest man on the planet moniker?